Rani Laxmi Bai was born on 19 November 1828 in Bhadanei town of Varanasi in Uttar Pradesh, whose childhood name was Manikarnika. Her father's name was Moropant Tambe & he was the Peshwa in the court of Bithur. Her father was a modern thinking person who trusted in the freedom of the girls and their education Because of which Laxmi Bai was very influenced by her father. His father had recognized his talent since the childhood of the queen, hence she had been given more freedom even from her childhood. His mother's name was Bhagirathibai, a homemaker lady. 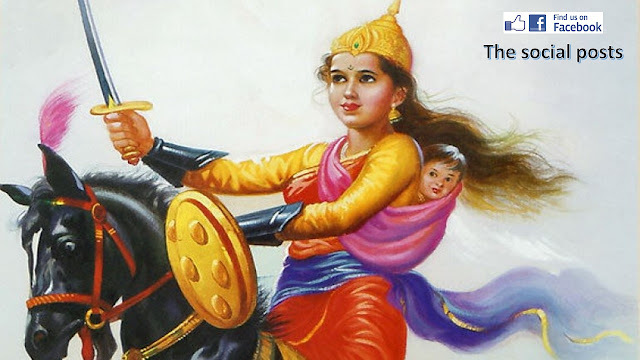 When Rani Laxmi Bai was 4 years old, her mother died, after which her father raised Lakshmi Bai. Maharani Laxmi Bai had trained with self-defense, horse riding, shooting, and siege, along with her studies, which enabled her to become an expert in armaments. The marriage of Jhansi ki Rani Laxmi Bai's took place only in the age of 14 with Maharaj Gangadhar Rao of Jhansi in North India. In this manner, Kashi's Manikarnika now became queen of Jhansi. After marriage, she got the new name & she was called Lakshmibai. She was enjoying her married life happily and approximately after 9 years, one baby boy was born in the house of Gangadhar Rao but unfortunately, he died after 4 months. In the absence of the son, Maharaj Gangadhar Rao Neewalkar started to be sick & thereafter Maharani Laxmi Bai and Maharaj Gangadhar decided to adopt the son of their relative. The name of the adopted child was Anand Rao but it was changed and made to Damodar Rao. Due to constant sickness, one day Maharaj Gangadhar Rao Nevalaar's health worsened and he died on 21 November 1853. 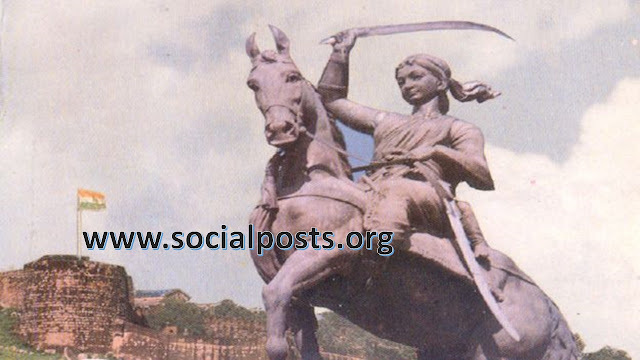 At that time, Rani Lakshmi Bai was only 18 years old. 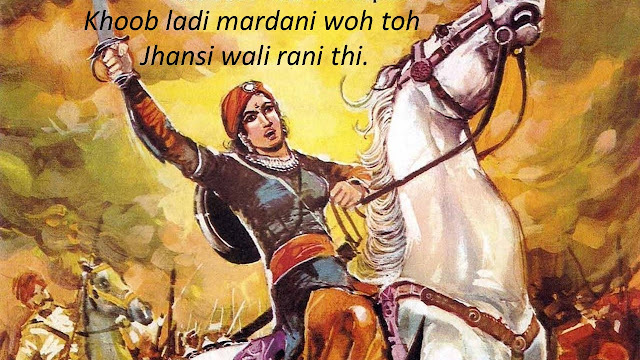 The Rani Lakshmibai was greatly hurt by the news of Raja's death after the son's disintegration, but in such a difficult situation, the Jhansi Ki Rani Lakshmibai did not lose patience and decided to become the state's successor. Lord Dalhousie was Governor at the time. The British rulers who wanted to get Jhansi issued a government gazette on 7 March 1854 & ordered Lakshmibai to add Jhansi into the British Empire. Lakshmibai was not ready & she said that she would not give her Jhansi. After this, the Maharani Laxmi Bai, who was involved in saving Jhansi, created an army from the peoples of other states. There was an army of around 1400 persons and among all the most renowned faces were Vishnu Ghulam Khan, Dost Khan, Khuda Baksh, Sunder-Mundar, Kashi Bai, Motibai, Lala Bhau Bakh Minister, Dewan Raghunath Singh, Diwan Jawahar Singh. In March 1858, Britisher attacked Jhansi and captured the Jhansi. During this difficult time, Lakshmibai saved her child from the reach of Britisher. 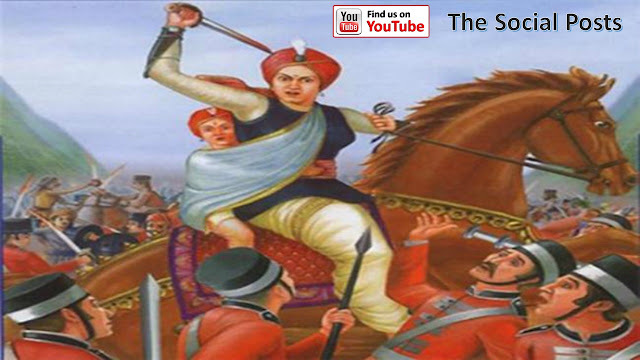 On 17 June 1858, Rani Lakshmi Bai fought against King's Royal Irish and took over the front of Gwalior's front region. In this war, along with the Rani Lakshmibai, her sevaks also accompanied him. The Lakshmibai horse was new in this war because the queen's horse 'Rajaratan' was killed in the last battle. 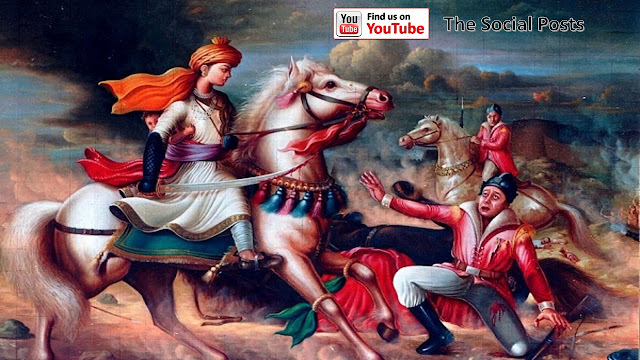 In this war, the Rani Lakshmibai also feared that this was the last battle of her life. They understood this situation and fought with bravery. She badly injured in this war and fell down from the horse. The Lakshmibai was wearing men's clothes, so the British could not identify them and left her in the war land. After this, the soldiers of the Rani Lakshmibai took her to the nearby river and gave her the water, thereafter Maharani Lakshmibai shared her last wish. She said that to ensure that no Britisher would touch her body. In this way, on 17 June 1858, she died. This is the death story of Jhansi Ki Rani Lakshmibai. 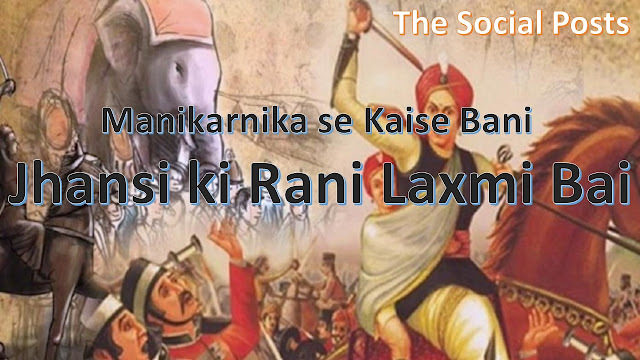 Courageous Veerangana Rani Laxmi Bai always defeated his enemies with bravery and courage. The entire nation proud on her and praising her for the bravery she was carrying. Rani Lakshmi Bai is an inspiration for all of us and especially the women. 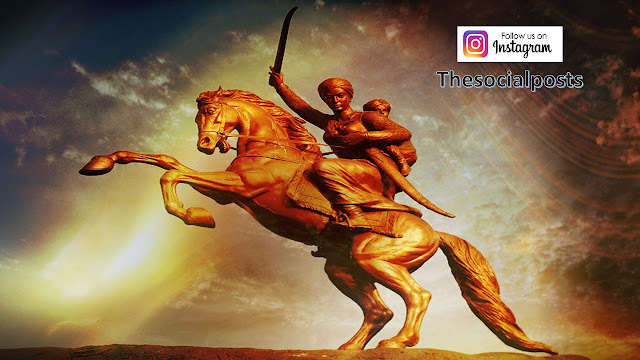 There are some famous poems related to Jhansi Ki Rani Lakshmibai. We have listed a few of them here. • Inki gatha chhod, chale hum Jhansi ke maidano mein, Jahan khadi hai lakshmi bai, mard bani mardano mein Lieutenant Walker aa pahuncha, aage bada jawano mein, Rani ne talwaar kheench li, hua dwand asmanon mein. • “Chamak uthi san sattavan mein, woh talwar purani thi, Bundele harbolon ke munh humne suni kahani thi, Khoob ladi mardani woh toh Jhansi wali rani thi”. Ghayal hokar giri singhni, use veer gati pani thi, Bundele harbolon ke munh humne suni kahani thi, Khoob ladi mardani woh toh Jhansi wali rani thi. This is the story of Jhansi Ki Rani Lakshmibai and the poems related to Rani. I hope, you liked it. Please share your valuable feedback with us via comment box. What are the 7 warning signs of dengue fever?